The National Talent Search Examination (NTSE) is an examination to test students on their abilities. This test is done to get a pool of suitable candidates for over a 1000 scholarships. The scholarships are provided for pursuing their courses till second degree or PhD level. It is very important for the students to be aware of all details about the NTSE Exam and they can do that by keeping a tab on our blog and Free Downloads sections. The exam is divided into two sections with a total of 200 questions. English and Hindi are the two answering mediums with a total time of 5 hours being allotted to answer all questions. The 200 questions are divided into Mental Ability Test (MAT) and Scholastic Aptitude Test (SAT) consisting of 100 Questions each. There is no negative marking in any stage of the exam. The SAT section would have 40 questions each from Science and Social Science and 20 questions from Maths. The syllabus is an essential for any exam. 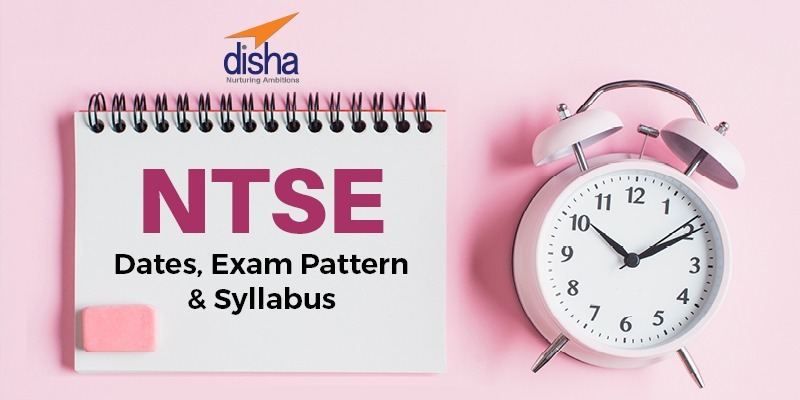 NTSE follows a two section pattern for its exam and the syllabus for it is divided in the same format. MAT includes topics like word problems and Venn Diagrams to test the Mental Ability while SAT tests the students on subject specific knowledge. The official link to the brochure can be found here. With that in your arsenal there is always a need of NTSE Exam Books for the right preparation. The book should give you exam specific content and Sample Papers to practice from. You can find the best book for NTSE here – Best NTSE Books.